Sony tried to smother complaints by releasing the film online, in selective theaters and on-demand. 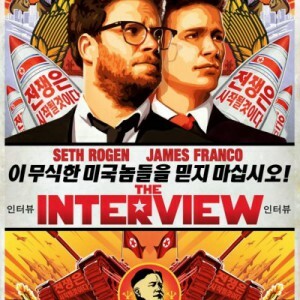 To take another step in its distribution makeover, Sony is also streaming ‘The Interview’ on the streaming gigant Netflix. The film stars the “Pineapple Express”-duo James Franco and Seth Rogen. Where Franco plays a TV host of a hit talk show, and is of course greatly admired by the North Korean leader Kim Jong-Un. He and his producer-friend (Rogen) are invited to North Korea to take on an epic interview of the reclusive head-of-state. While preparing for the Interview of a life time the pair is approached by the CIA to do a highly classified assassination mission for them, which in turn results in a lot of comedy or errors. ‘The Interview’ has amassed more than $46 million in on-demand rentals and theaters. The film’s budget has been more than covered at $44 million.